I am so unhappy that my own digital images weren’t good enough to get into this magnificent book, but I can see why as I leaf through the pages :-) I’d love to have even one quarter of the talent that these wonderful book artists have. All of the Amazon reviews give it 5 starts…and I agree! 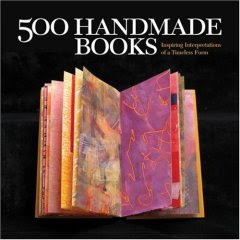 If you have an interest in handmade books and bookbinding, or if you just like drooling over incredibly beautiful mixed media art, this is the book for you. This book is truly amazing! I agree with you; I'd love to have their talent. All we can do is keep trying!